I'm using my next four posts to count down my 40 favorite albums of 2008. As I've noted before, ranking these recordings seems more arbitrary every year--the order of my picks feels like it could change every day--so don't take the exact sequence too seriously. Everything on this list pleased and/or provoked my mind and/or body. Next week I'll devote a post or two to some of my favorite reissues of the year. Please leave a comment if you're having trouble tracking anything down; I'll do my best to steer you in the right direction. A former Chicagoan, reedist Matana Roberts returned from New York to make the best record of her career, working with guitarist Jeff Parker, bassist Josh Abrams, and drummer Frank Rosaly (and cutting a few duets with tenor titan Fred Anderson). The rippling, muscular music pushes a postwar Chicago blues feel through ideas laid out by the AACM in the 60s, and its final stop is the present. Olinda is in Pernambuco, Brazil, near the vital city of Recife, and this large band includes some of the area's greatest musicians, including singers Tiné and Maciel Salú (who also plays the violinlike rabeca). Orquestra Contemporânea de Olinda delivers a fantastic hodgepodge of Pernambucan styles, colored with sharply drawn touches of reggae, dub, and rock, and the fine arrangements prevent the music from sounding the slightest bit fusty or folkloric. Undiminished at 90, Cuban pianist Bebo Valdes conducts yet another seminar on rhythmic economy, melodic precision, and dynamic control in these intimate but energetic duos with Spanish bassist Javier Colina, in the process discovering new wrinkles in a program of Afro-Cuban classics. Cassandra Wilson has remained my favorite jazz singer for two decades not by staying the course but by tweaking and revamping her sound. Here she returns to the standard repertoire for the first time in 20 years, refracting the songs through the same prism as the records she's been making since 1993's Blue Light 'Til Dawn--her performances are leisurely, sensual, and spacious. Bonus points for a killer band that includes pianist Jason Moran. For all his idiosyncrasies, Will Oldham might be America's most reliable singer-songwriter. What makes this even more impressive is that he hasn't simply sought out a sweet spot and then kept on hitting it--he's made one great record after another, and no two of them sound alike. New York-based Brazilian producer Maga Bo floored me with this frothy blast of global grooves. His work is sample based, sure, but he doesn't just cobble something together from whatever he can find on the Internet--he travels the planet collecting new beats and arranging them with great vocals from singers and MCs from places like Portugal, Morocco, South Africa, and Tanzania. The onslaught of beguiling and original Scandinavian art-pop continues. The second album by this Swedish duo (singer and keyboardist Mariam Wallentin and drummer Andreas Werliin) hasn't been released in the U.S. yet, but in the meantime I highly recommend its predecessor, Heartcore (Leaf), to anyone unwilling to deal with import prices. The Snake somehow smooshes together indie rock, blues, parlor songs, and jazz without really sounding like any of them--and the band's even better live. Young Swede Lykke Li transforms her wisp of a voice--she has an especially endearing way with heavily accented English--into a sirenlike charm, backed by music that sounds like electronic dance-pop rebuilt from whatever she could find in her living room. This Norwegian folksinger isn't afraid to take traditional music off its pedestal, but what makes her really superb is the things she does with it then--she's recorded a cappella music in a cavernous mausoleum and worked in a killer trio with accordionist Frode Haltli and violinist Vegar Vårdal. Here she layers her voice with a subtle electronics and orchestral arrangements, making centuries-old tunes sound vibrant and contemporary. 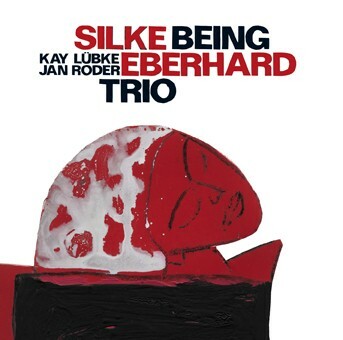 Young Berlin reedist Silke Eberhard has caught my ear before--particularly on a program of Ornette Coleman tunes recorded with pianist Aki Takashi--but she really hits pay dirt here. 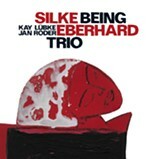 Her tart tone clearly influenced by Ornette, she braids her generous improvised melodies through swinging structures sketched out by bassist Jan Roder (Die Enttäuschung) and drummer Kay Lübke.